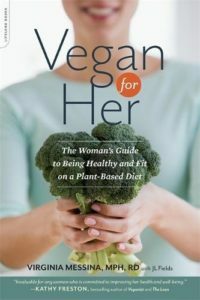 Or the author could have asked to speak with any other dietitian associated with the Vegetarian Nutrition Dietetic Practice Group which is a part of the Academy of Nutrition and Dietetics. She could have talked to a few vegan parents, like my friend Matt Ball. His daughter Ellen, vegan from birth and now a young adult, excels as an athlete and a scholar without ever having consumed animal protein. But, the Slate article didn’t focus so much on determining if vegan kids can meet nutrient needs; it’s aim was to show that it’s difficult to do so. And we all know what that looks like. It involves the usual outdated research along with a little bit of nutrition misinformation plus some irrelevant/incorrect observations about vegan eating patterns. Toss in a few silly comments about vegan food (because yes, we all eat bulgur walnut loaf) and you’re good to go. Here are responses to a few direct quotes from the Slate article. This is the obligatory reference to studies in children who were raised on macrobiotic diets in the 1980s. It’s no surprise that many of them showed effects of B12 deficiency. This has no relevance to 21st century vegan children who are eating fortified foods (which are far more abundant now than they were 30 years ago) or taking appropriate supplements. A “little” shorter, yes. Like about ¼ of an inch shorter. The study in question, which dates to 1989 states that vegan children achieved adequate growth by their school years with insignificant differences in height (1). The fact that they were smaller as toddlers may be because they were more likely to have been breastfed, which results in slower growth compared to formula-feeding. Is the amount of fat that omnivore kids eat supposed to be the optimal amount of fat for children? Fat intake of vegan children appears to be around 31% of calories which is hardly a low-fat diet (2). Furthermore, it’s easy enough to boost fat intake of kids with fat-rich foods like nut butters or added fats. Vegan children do drink fortified milk; it’s just not fortified cow’s milk. Vegans get their vitamin D the same way omnivores do: from fortified foods, supplements and sun exposure. 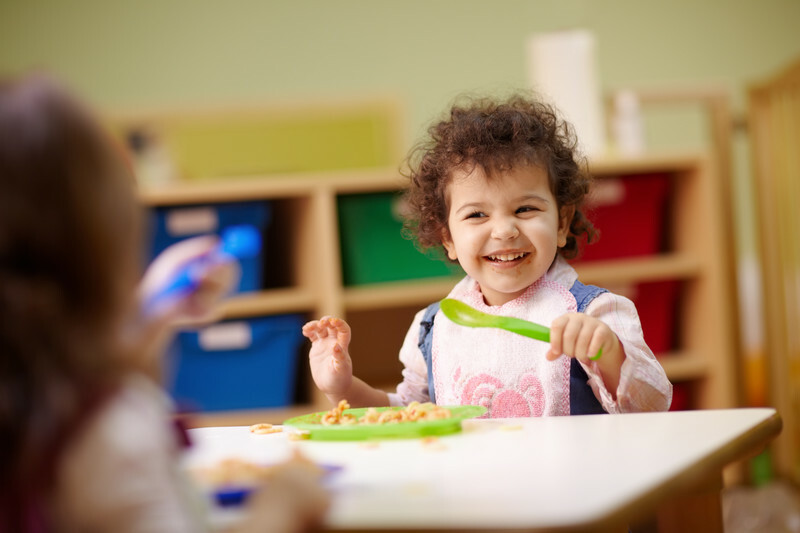 Fish should not be considered a reliable source for meeting vitamin D needs and would be particularly inadequate for toddlers and preschoolers (3). Iron deficiency anemia is certainly a serious public health problem. But it’s not a problem that is unique to vegan children. In fact, for toddlers, excessive cow’s milk consumption is a risk factor for poor iron status (4). Replacing cow’s milk with plant foods can be expected to improve iron nutrition. Yes, parents of young vegans need to make sure they are consuming generous amounts of iron and of vitamin C, which enhances iron absorption. Some research suggests that vegan kids consume more of both these nutrients than their meat-eating peers (2). The idea that plant foods are entirely lacking in certain amino acids is absolutely wrong. All plant foods contain all of the essential amino acids. Plant foods are, of course, low in certain essential amino acids. 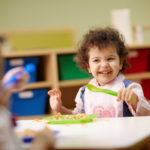 In fact, toddlers and preschoolers may benefit from combining proteins—grains and legumes—at meals even though the practice is not necessary for adults. Examples are peanut butter on crackers, a Tofurky hotdog on a hot dog bun or pita dipped in hummus. It’s not especially complex, even for picky eaters. This makes it sound like all plant foods are packed with oxalates. They aren’t. Nor are oxalates the only factor affecting calcium absorption. Which might explain why calcium absorption from some vegetables is twice as efficient as absorption from cow’s milk. And why absorption of calcium from soyfoods, which are rich in both oxalate and phytate, is excellent (5). 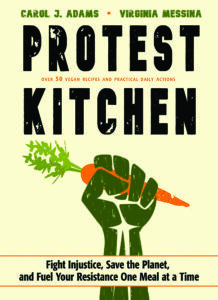 If you read this blog on a regular basis, you know that I’m not one to dismiss concerns about vegan diets. There are challenges to meeting nutrient needs on a diet that is not part of our mainstream culture. Parents of vegan children need to pay attention to certain nutrients. It’s pretty much a fact of life that doing the right thing sometimes takes extra effort. But the learning curve is not all that significant, and it’s clear that a vegan diet can meet nutrient needs. Vegan kids—and adults—can thrive. We absolutely know that this is true. Which means that for those who have the good fortune to be able to choose what they will eat, the only excuses for eating animals are related to convenience and pleasure. And articles questioning the safety of vegan diets must always depend on outdated research and a poor understanding of nutrition science. O’Connell JM, Dibley MJ, Sierra J, Wallace B, Marks JS, Yip R. Growth of vegetarian children: The Farm Study. Pediatrics 1989;84:475-81. Sanders TAB, Manning J. The growth and development of vegan children. J Human Nutr Diet 1992;5:11-21. Lu Z, Chen TC, Zhang A, Persons KS, Kohn N, Berkowitz R, Martinello S, Holick MF. An evaluation of the vitamin D3 content in fish: Is the vitamin D content adequate to satisfy the dietary requirement for vitamin D? J Steroid Biochem Mol Biol 2007;103:642-4. I am always surprised when anyone questions the health of a vegan diet, the implication being that the standard American diet is healthier. Americans eating the typical American diet tend to suffer from a myriad of health issues, from obesity to high blood pressure to diabetes to cancer that are all linked to diet. Are they saying that is a healthier way to eat?! They should be embarrassed making that case. The truth is that anyone paying careful attention to what they eat can be healthy. If we choose not to eat animal products, for compassionate or ethical reasons, or for whatever reason, we can actually be healthier. It is simply a matter of paying attention to good nutrition, which is true whether you eat meat or not! Is there a link so I can share this article on my Facebook? I so appreciate this. I am just now reading your book and this article is so in keeping with that. Informed, dialing down the rhetoric, stating facts, and slightly that sense of, here we go one more time. 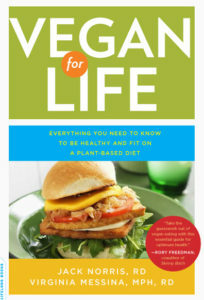 I love it, appreciate it and most of all, this helps me and the vegan child I feed tremendously. Thank you for this. That Slate article drove me up the wall, and I don’t even have kids. The research was old, the conclusions were incomplete or flat-out wrong, and the entire argument seemed to be predicated on the belief that her own kids wouldn’t eat a wide variety of foods so no one else’s would, either. I really hope you submit this as a rebuttal to Slate. 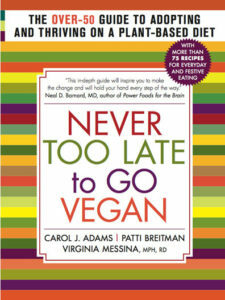 I am a recent vegan, having adopted the diet for health and environmental reasons. I have been coming back to your articles from time to time and I am so appreciative of the well-researched, factual writing. I do follow references to the original research on many sites and I find that often, for other sites, the article misrepresents the original research. For your site, this is not the case! Thank you!! 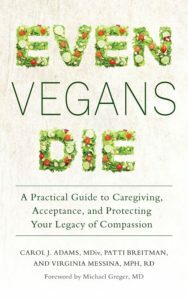 Thank you for writing this (and for writing Vegan For Life, which I love). It’s so odd to me when people talk about how if you’re vegan you need to pay attention to make sure you get all the important vitamins and nutrients, as though non-vegans have no such concerns, and that simply sliding some meat / eggs into a diet makes it healthy. A quick look around at the general population confirms otherwise. Surely the right answer is, everybody should pay attention to make sure they get everything they need in their diets, no matter what label they put on themselves. I wondered what you thought of spouting and fermenting beans and grains and activating nuts to reduce phytates and other natural potential nutrient-inhibitors? Does it really make any difference? The cost is much more for most of these products if you can’t make your own (I have not had a kitchen for 20 months). Thanks! P.s sorry, not totally relevant to above post but I wans reminded by the reference to oxalate and phytate. I thought most of the problems with the Slate article were pretty obvious to anyone with more than a passing interest in vegan nutrition (though I’m grateful for your close look at it here). However, I did wonder about the 2007 study showing that vegans had a 30% higher fracture rate. Do you have any comments on that study? He (and the study) conclude that it is not veganism, but lower calcium intake that led to the higher fracture rates. Vegans who got at least 525mg of calcium a day were no more likely than the other groups in the study. Thanks Charlotte. This is good to know. A number of vegan groups I’ve gotten information from seem invested in saying that you don’t need to be worry about calcium – so I’m grateful for this. I wonder if Melinda Wenner Moyer is being courted by the meat and dairy industry, or if she’s feeling guilty for not being vegan herself, as she should be. There were so many problems in this piece. The bar is set incredibly low for scientific journalism these days–perhaps it always has been. The fact that she used that single study to justify the assertion that “vegan kids still tend to be a little shorter and leaner than their animal-eating counterparts” shows that she doesn’t really understand how science works. A single study cannot do anything but *suggest* the possibility of an effect on a larger population. And a single study finding such a small effect when studying a specifically homogeneous population and comparing it to the national average suggests very little indeed. Thanks for sharing this article, it was really interesting for me to read as a vegan who is trying to learn more about who can be healthy eating this type of diet. The reason I’m writing to you is because I recently was speaking with an omnivore who was arguing that a vegan diet is dangerous for children and adults as there is not enough empirical data to support that it is healthy. Yet, in your article you say you know for certain that children and adults can thrive on this diet. Can you help me understand how how and why you’re so sure? Any information would be greatly appreciated. Hi, While I’m not Ginny, I can answer Kane’s question. Millions (if not billions) of Hindus are strict vegans and they have been for generations. They are healthy. Millions, let alone billions, are way more than any study will ever achieve. Jains are also strict vegans, but I don’t know how many of them there are. If we in the West, and especially the USA, just knew more about the rest of the world, we would be much, much better off.